On August 24, 2016, a Turkish expeditionary force entered Jarablus, Syria. Today, the Arab League began a military operation to persuade Turkey to withdraw. In short, Arab League and allied strategic special operators are blowing the hell out of the Turks. Turkish armored vehicles, special forces, and aircraft assaulted Jarablus. Also, about 1500 Islamist fighters from seven Syrian rebel groups went along for the ride. But Operation Euphrates Shield is a farce, as I’ll prove. 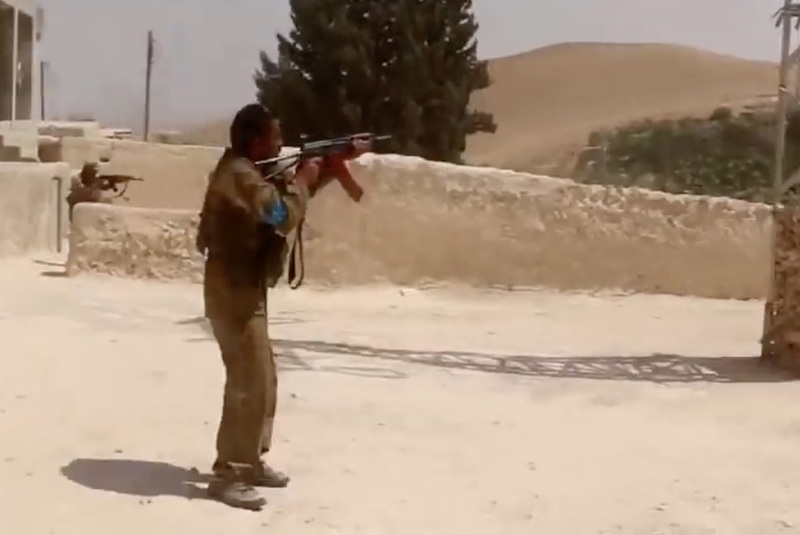 First, listen to statements from the Syrian Democratic Forces (QSD). However, the evidence indicates that they’re telling the truth. The Islamic State cooperated with Turkey and its proxies in the taking of Jarablus. My guess is that the Islamic State is still there, disguised. 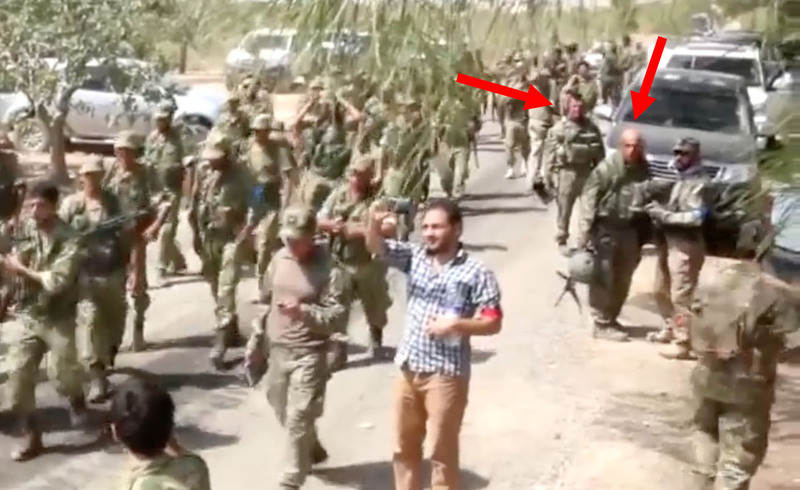 The Sultan Murad Brigades—Turkmens—released the video below. 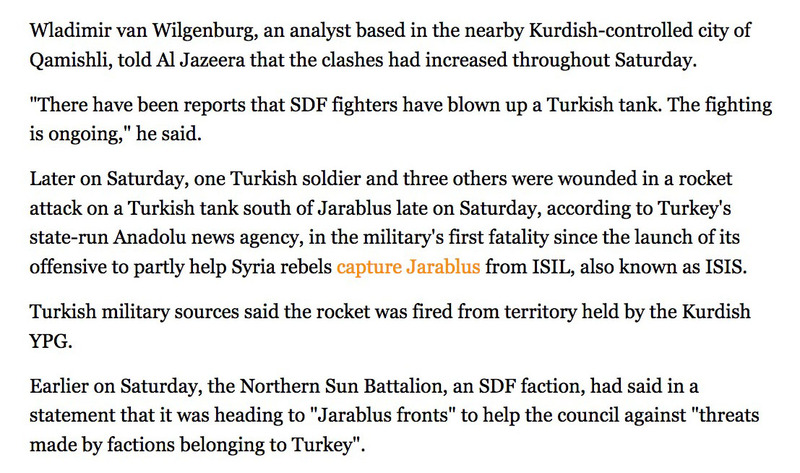 It shows that there was no combat in Jarablus. 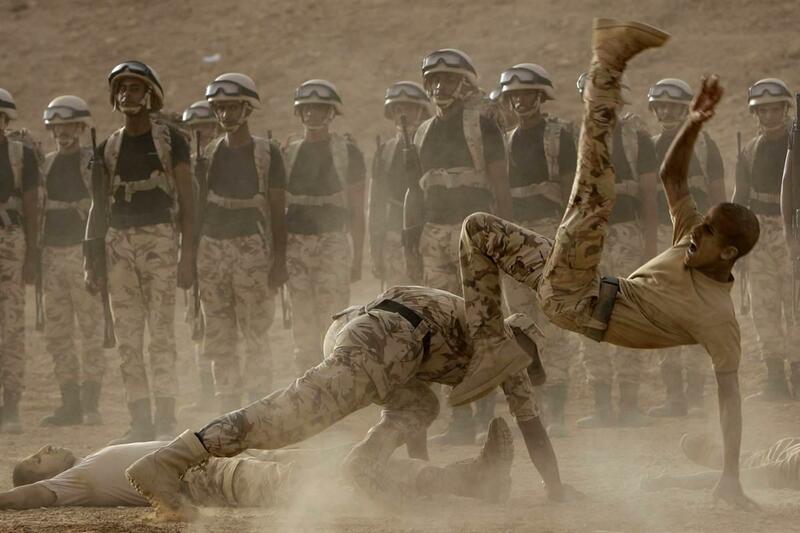 These men have no military training. Although it”s hard to believe, the Turkish armed forces have no military skills. As a result, they will either leave Syria immediately, or they will suffer massive losses. This man commanded the ground element of Operation Euphrates Shield. He wears the red armband of Turkmens and the blue of Arabs. Unlike the others, he has body armor. Also, he’s armed with a Russian AKS-74U carbine. This weapon is intended for close-quarters combat. Therefore of course this guy used it for long-range shooting. Below is a great screen grab. First, an imbecile with his cap on sideways. Second, an imbecile carrying his rifle the way a chimpanzee would. Third, a depressed Turkish Special Forces soldier. 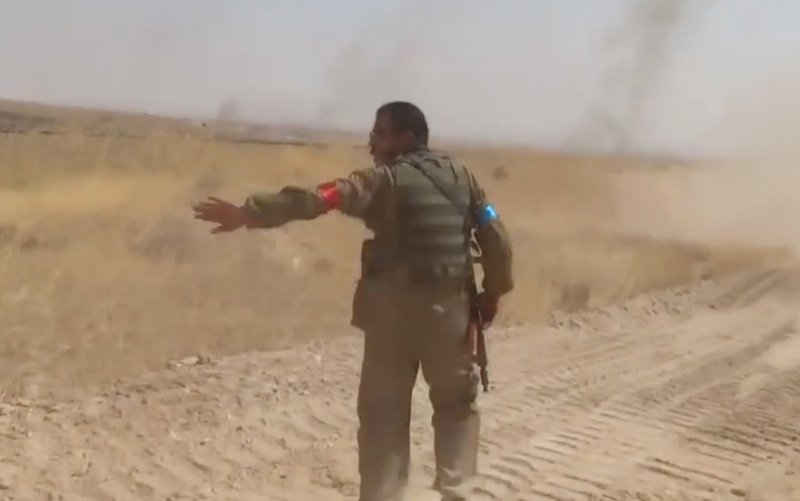 Fourth, a Turkish Special Forces soldier talking to the Turkish version of the nonexistent Syrian Arab Army “Tiger Forces” commander, Colonel Brigadier General Suheil al-Hassan. And look what happened when the Turks saw that someone was filming them. Here is an incredible image. 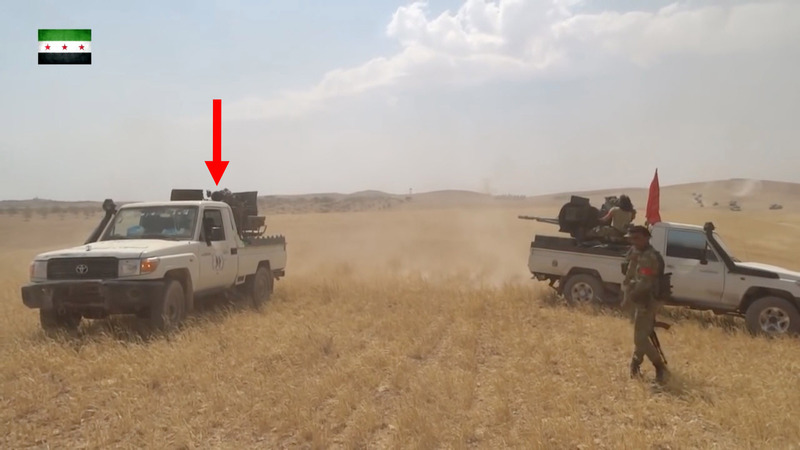 The gunner on the right is firing his 23mm ZU-23-2 cannons right past the face of the gunner on the left (red arrow). I’ve never seen such stupidity in my life. 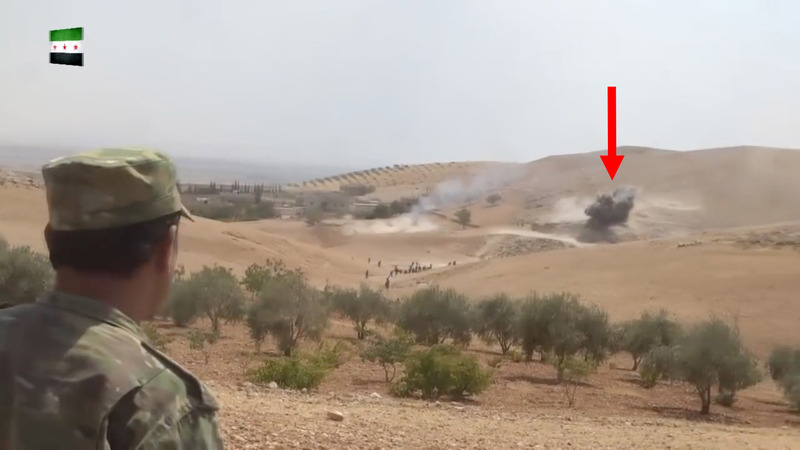 Next, the Turkish air force almost bombs a group of its own pet rebels. 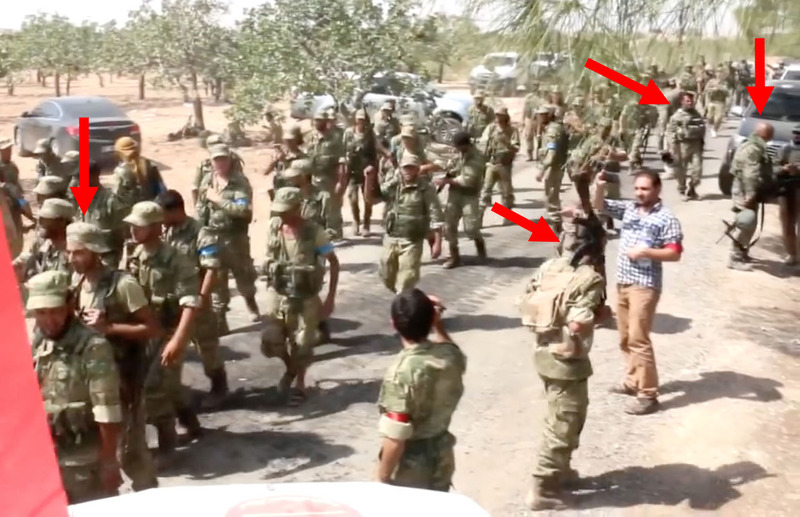 Finally, rebels or Very Special Turkish soldiers to the right of these guys nearly mow them down. Bullets rake the ground in front of them. As can be seen, the Turks and their allies are buffoons. Who the hell decided that Turkey had exceptional armed forces? The reign of Erdoğan turned them to crap. 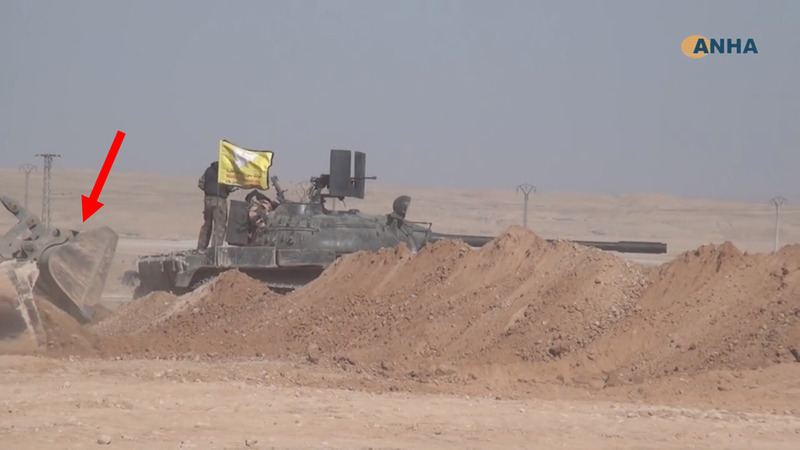 Here is a QSD tank at al-Shaddadi. 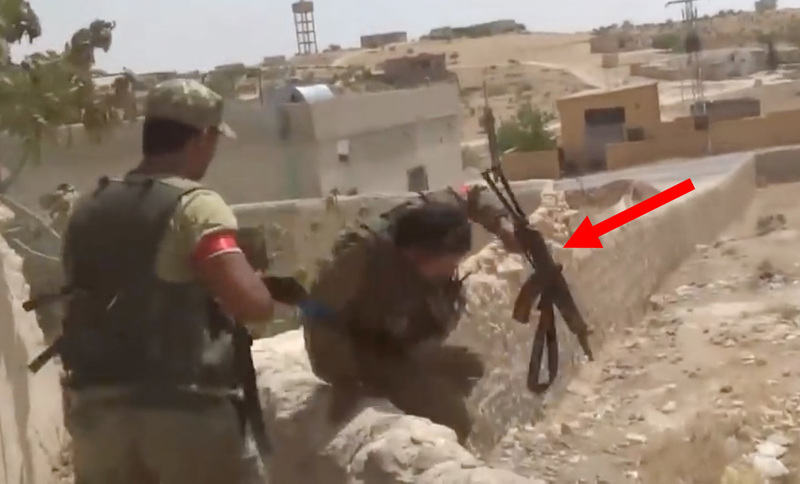 The red arrow marks what’s missing in Operation Euphrates Shield. Front end loaders and earthen berms. 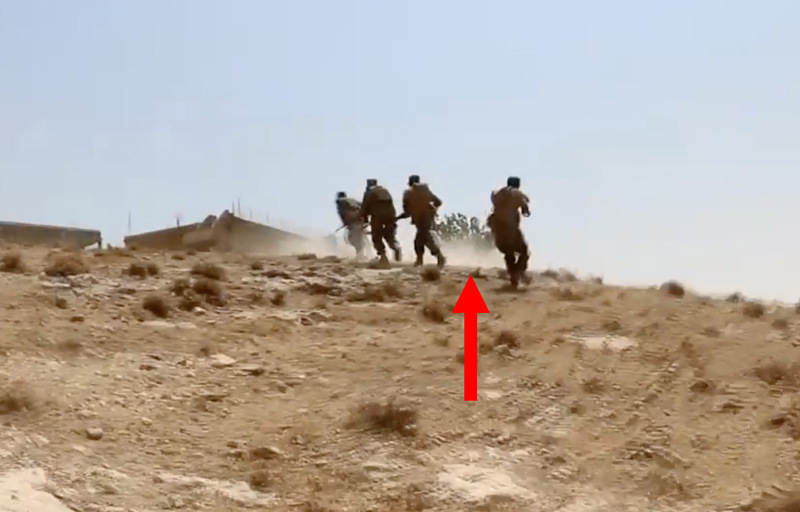 Those big piles of dirt protect fighters from enemy fire. 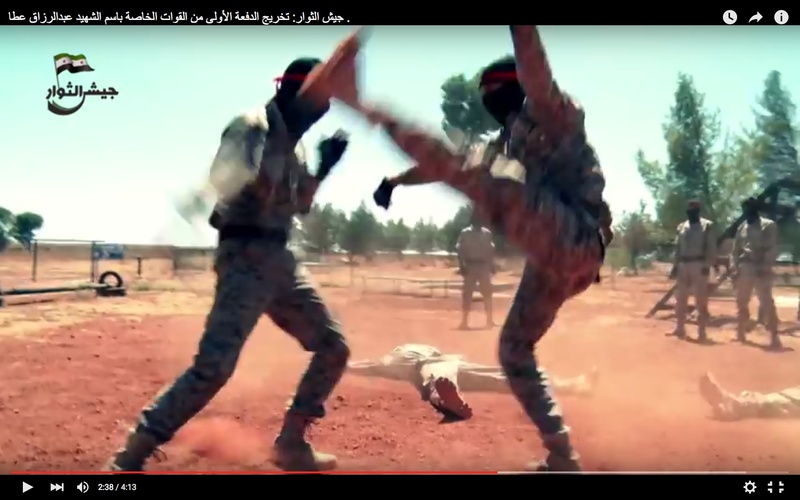 There are no berms in the Operation Euphrates Shield video. Everyone is out in the open, completely exposed. Why? Because they’re receiving no incoming fire. Obviously nobody’s shooting at them. The Turks staged the whole thing. Turkey, the Islamic State, and the Islamist rebels launched a war against the Syrian Democratic Forces. And now the Turks are paying for it. When people on social media refuse to believe that the Arab League now has the most advanced military capabilities in the world, I understand. But Turkey has multiple intelligence organizations. What were the Turks thinking? There’s only one possible outcome to Operation Euphrates Shield. Things are unfolding as I predicted. Modern antitank guided missiles (ATGMs) easily demolish the 55-year-old Turkish M60 Patton main battle tanks. And the Northern Sun Battalion is mostly Arab League strategic special operators. As long as no Arab nation takes credit for expelling the Turks from Syria, Erdoğan is impotent. Since Syrian Arabs are now publicly and vocally involving themselves in the fight against Turkey, Operation Euphrates Shield has already failed. And the real fighting is just getting started. Jaysh al-Thuwar has announced that it will drive the Turks from Syria. Since Jaysh al-Thuwar has no outside support, it is without question Arab League and allied professional strategic special operators, mostly Saudi. 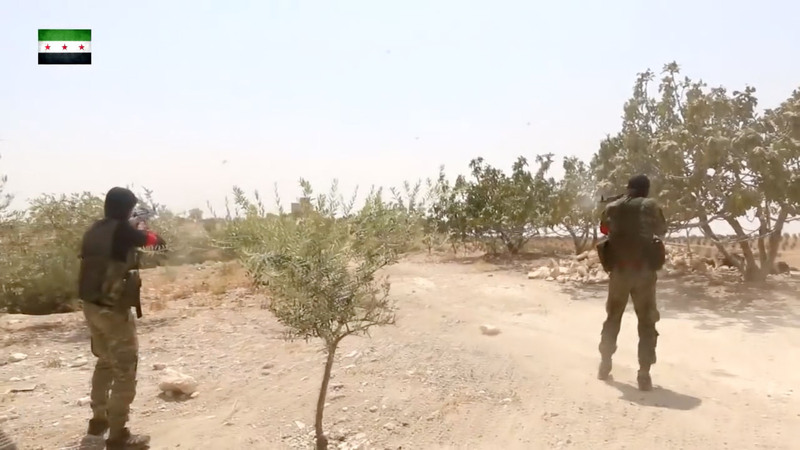 Jaysh al-Thuwar has never lost a battle. Only the Arab League and Israel know the full capabilities of the new commandos who’ve now turned their attention to Turkey. We have no idea what the Arab League can do. Enough. Everybody needs to give up their imperialist ambitions. Israel and the Arab League are genuinely invincible. In the long run, this will benefit the entire planet. So go home, Turks. While you still can. If you don’t, the Arabs will send you home. This article viewed 40829 times.